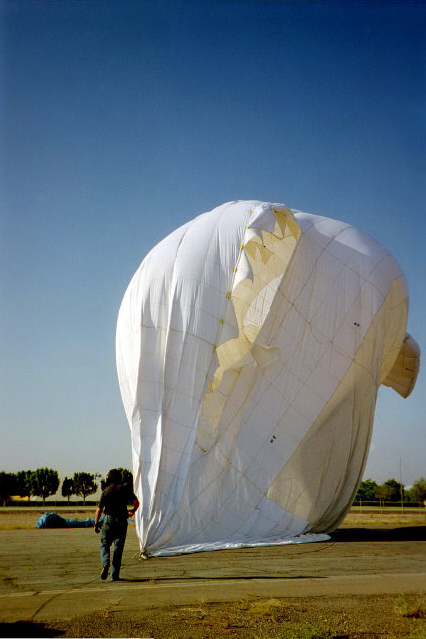 Ground testing of the airship at Brown Field in San Diego on June 22, 2002, just prior to the envelope rupture. 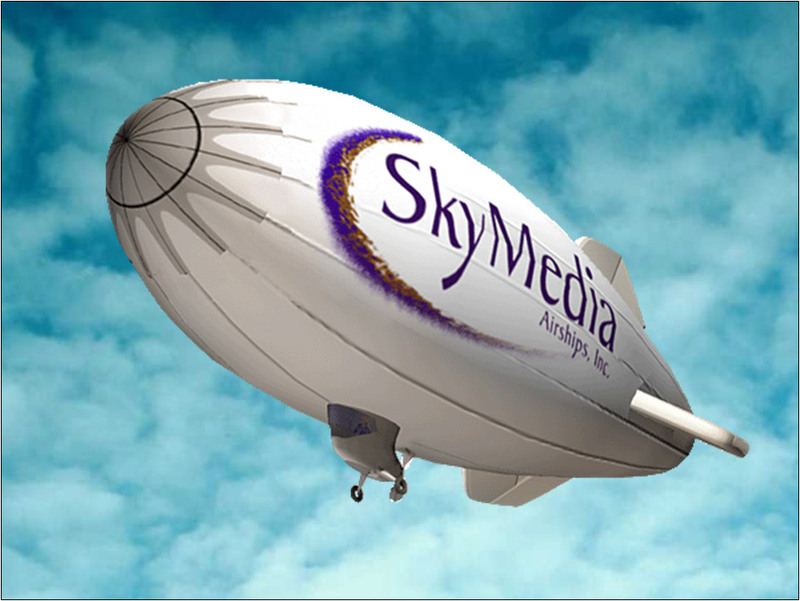 SkyMedia Airships was a California corporation founded by Paul Cohen in 2000 to construct and operate a viable hot air airship alternative to the helium blimp for advertising purposes. 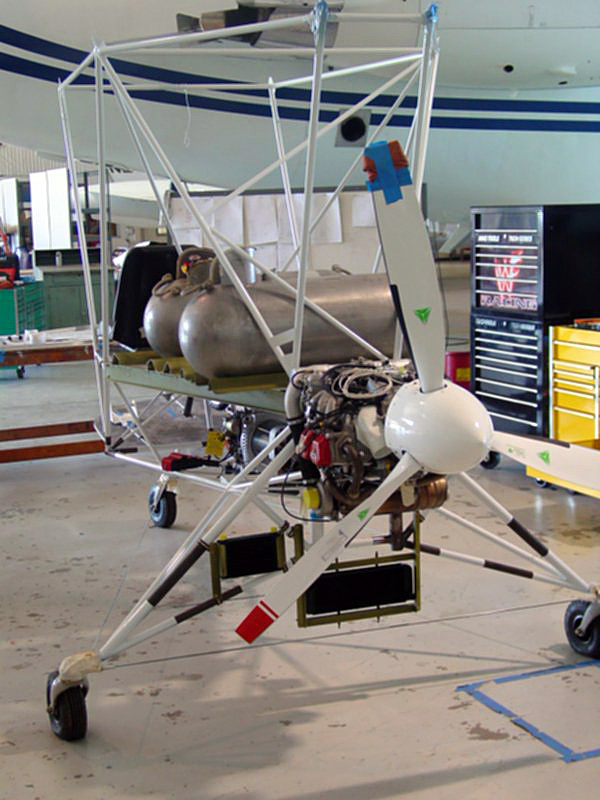 George Stokes and his son David worked for the company and provided technical assistance. 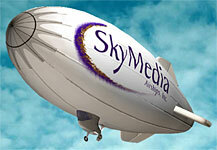 The SkyMedia SMA airship was 144 feet long and 52 feet in diameter with a volume of 141,000 cubic feet. 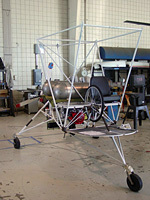 It was constructed of a purpose-woven ripstop nylon fabric of approximately 4.5 oz./square yard. 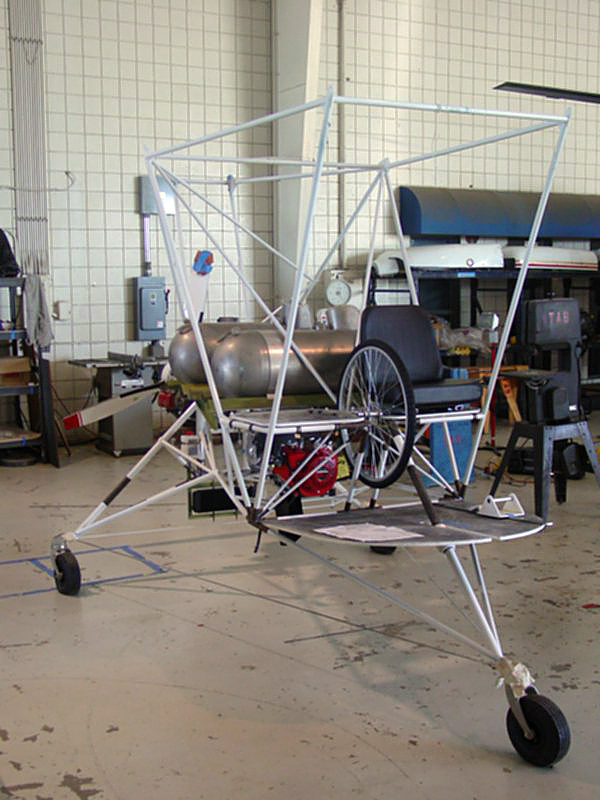 The envelope weighed approximately 800 pounds. 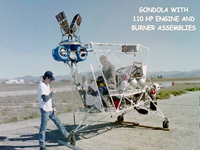 The two-person gondola carried multiple 20-gallon Raven propane tanks and was fitted with two Balloon Works T3-017 burners. 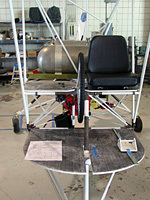 Propulsion was provided by a 110-horsepower Rotax 914 aircraft engine mounted in a pusher configuration. 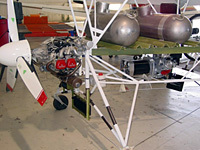 Electric blowers mounted under the burners provided pressurization. 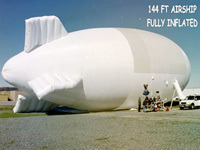 The airship was designed to operate at internal pressures near to those of helium airships (approximately 1.5 column inches of water). 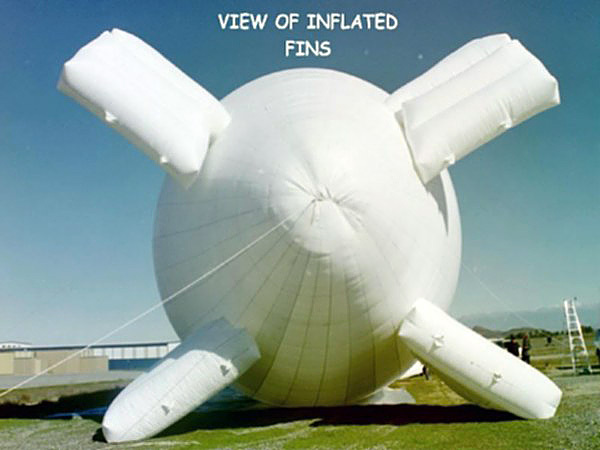 The SkyMedia SMA 1001 was the first and so far only Experimental hot air airship which has been issued an FAA waiver to authorize commercial advertising flights. 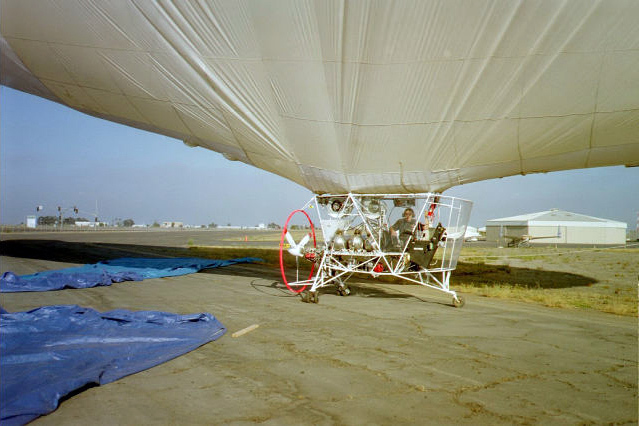 Each side of the airship envelope featured a 55'x30' area which was used for banner space during daytime operations, and as a projection screen for night-time video playback. The digital projectors were able to be programmed from the ground over a wireless network onboard the airship in flight. 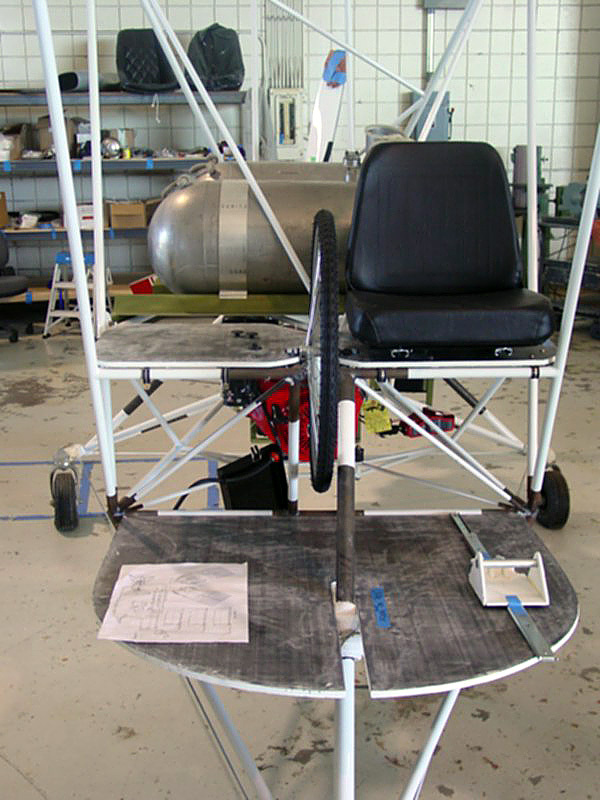 Hundreds of test flight hours were racked up beginning June 2001, but ultimately there were inherent control problems which could not be overcome. 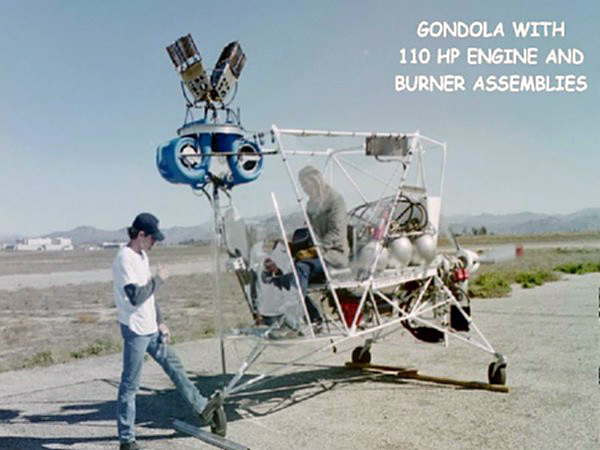 Sustained flight was possible, but landing was quite often an exciting adventure. 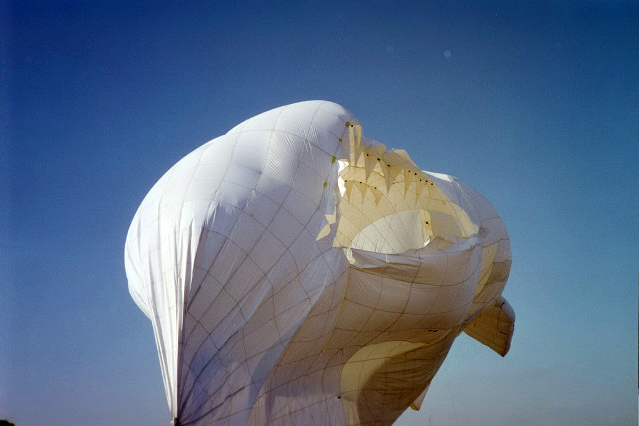 Although the considerable sum of $1,300,000 was invested in the research, design and operation of the airship, the project was terminated in 2004 because it was not felt to be safe enough for the marketed purpose. 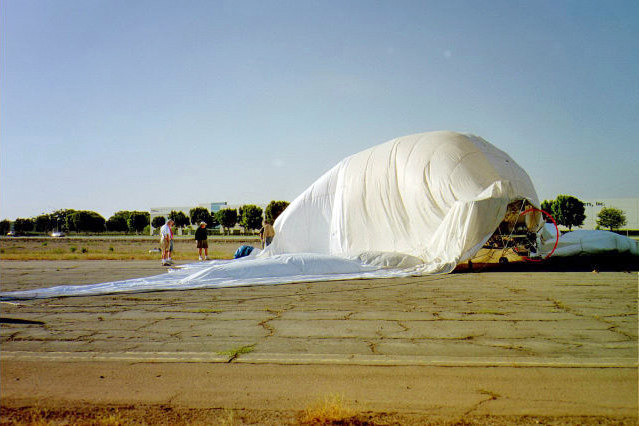 The envelope suffered significant damage from a catastrophic failure while undergoing ground operations at Brown Field in San Diego on June 22, 2002. 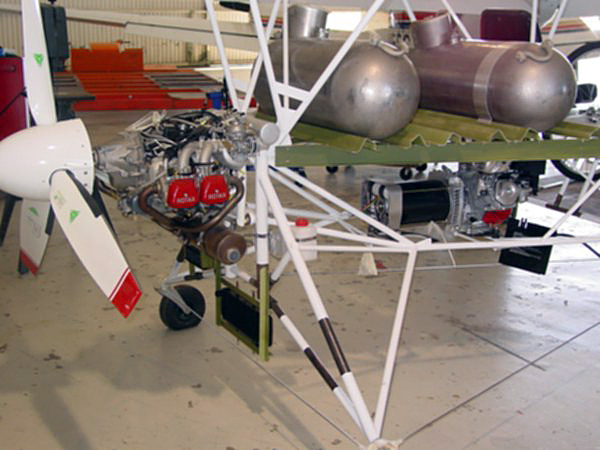 The envelope was tied off to two trucks, one at the nose and one at the tail. 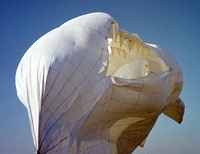 The trucks both moved at the same time to reposition the airship into the wind. 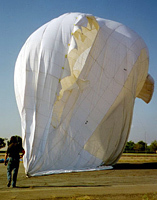 The combination of high internal envelope overpressure along with the uncoordinated, opposing pull on the nose and tail from both trucks caused the envelope to burst. 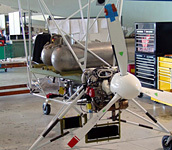 In the end, the airship was donated to the March Field Air Museum in Riverside, California and is currently in storage there. 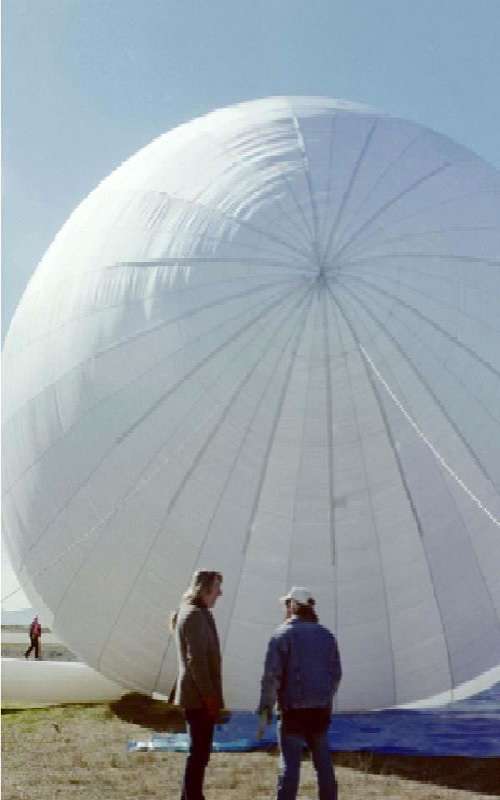 The SMA airship was a very ambitious project and is arguably the most technologically advanced attempt yet made within the USA to build and fly a viable hot air airship.